Shrushi Polymers Pvt Ltd are supplier & Manufacturer of Roof Insulation. Our product range also comprises of Thermocol Products, Thermocol Boxes and Thermal Insulation Materials. We offer Roof Insulation is a thermoplastic, closed cell, typically a white heat insulation material. 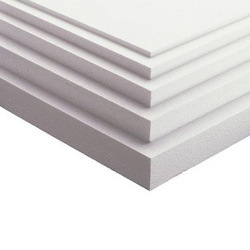 It is an insulation material used for terrace insulation, over rafter, under rafter, roof insulation between the rafter.We offer this on market leading prices. Looking for Roof Insulation ?